Dreaming of nice thick Belgian-style breakfast pastry? Have a need for some morning goodness at midnight? 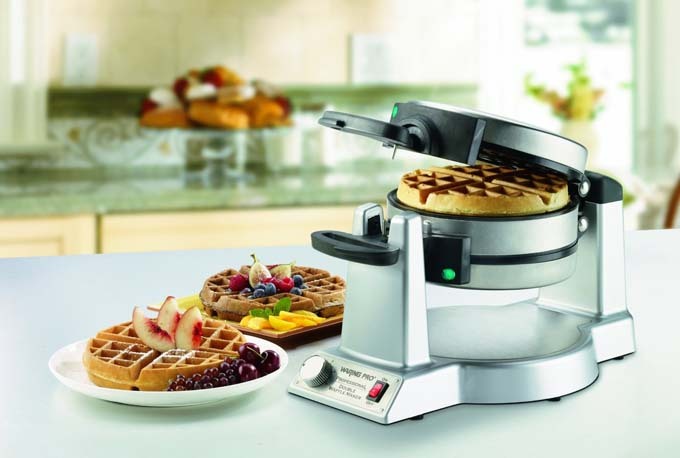 If so, check out the Warring Pro that lets you make two waffles at once! We’re talking one inch thick restaurant style cakes. This thing doesn’t mess around! Want to know more? Click the link and read on….